Without a doubt, I am a Harry Potter fanatic. No shame, I’ll admit that I’ve read all the books multiple times and waited at the Boston Common movie theater for the midnight showing of the last movie. I’ve been spellbound by the world of magic and muggles since I was 14 or so and can’t honestly believe that the dream of being a part of Harry’s world could even be possible. 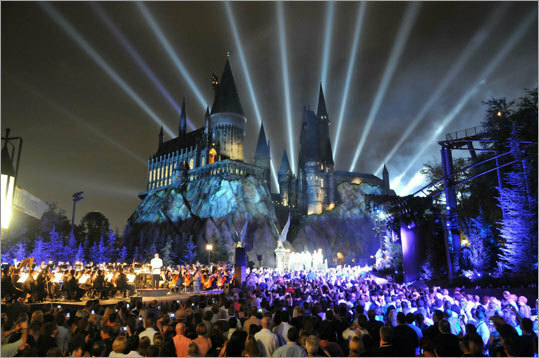 Yet with the opening of Universal Studio’s latest theme park, The Wizard World of Harry Potter, the dreams have become reality! And those are only the things I’ve read about!